The Wildcat Gaming Club presents Game Nights at Meriam Library. Event will be held this Tuesday , April 23rd, on the 2nd floor southeast corner, including rooms 263 & 265, of the library. 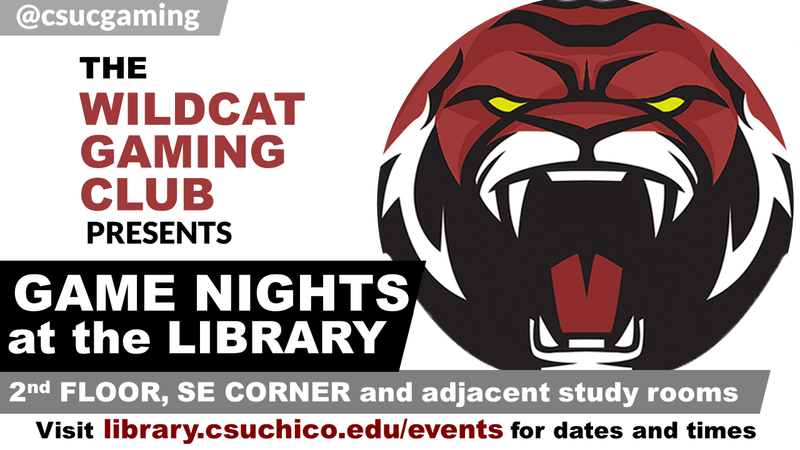 The Wildcat Gaming Club will have board and card games on hand and have been running a couple room of role-playing games for Dungeons and Dragons. Future Game Nights to occur throughout the semester.